Along the redwood coast of northern California there is a high headland overlooking Trinidad Bay. Here a settlement was founded during the Gold Rush era which grew into a lumber center during the 1870’s. The Light House Board decided to establish a 25 foot tower with a 4th Order Fresnel lens in 1871 on the headland. 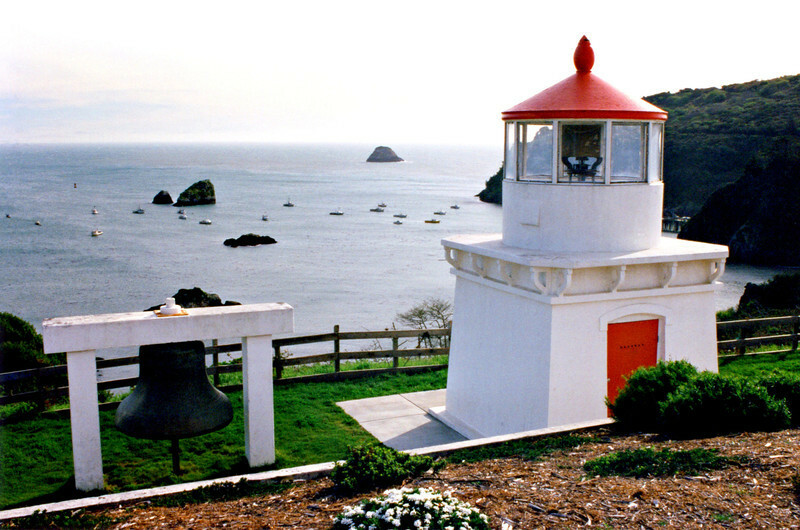 The small tower at Trinidad Head served maritime commerce for many years. In 1942 after 71 years of using an oil lantern the lighthouse was electrified. A modern optic replaced the 4th Order Fresnel lens in 1947 and the light was automated. In addition a compressed air horn replaced a 4000 pound fog bell at this time.